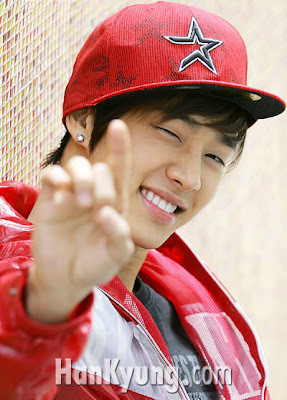 Lee Gi Kwang (AJ) is the vocalist and dancer of Korean Boy Band Beast. He is considered as the most popular member of the group. 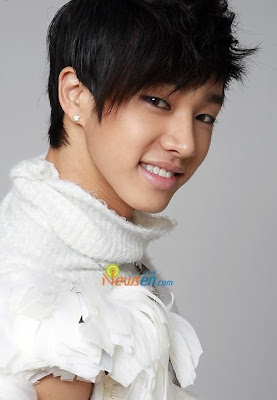 Besides a singer, Lee Gi Kwang also an actor. He starred in Korean Drama High Kick Through The Roof and My Princess. AJ was trained under JYP Entertainment for four years before transferring to JYPE’s sister agency, Cube Entertainment. 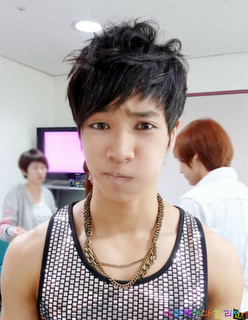 He made his debut on April 2, 2009 on Mnet M!Countdown. He was dubbed by Korean media as the next Rain. AJ has now switched from a solo artist to a group member of Beast. He is now known as KiKwang, or GiKwang. AJ “was” trained under JYP Entertainment for four years before transferring to JYPE’s sister agency, Cube Entertainment. He made his debut on April 2, 2009 on Mnet M!Countdown. He was dubbed by Korean media as the next Rain. On June 17, 2009, AJ opened for Lady Gaga’s Korean showcase. AJ released a total of two singles from his debut EP. The first single, “(Dancing Shoes)”, former Wonder Girls and now 4Minute member, Hyuna made an appearance in the music video. AJ was later released as the official second single from the EP, called Wipe The Tears. The original version features (now) BEAST member Junhyung, for the promotional version, rapper/singer Doo Joon (now the leader of Beast) was added to the rap with Junhyung. AJ has now switched from a solo artist to a group member of Beast. He is now known as Gikwang, or Kikwang.The group debuted on October 16, 2009 on KBS Music Bank with their single “Bad Girl”. He is one of the main dancers and a lead vocalist in BEAST. Ace Junior was the topic of a short-lived reality show, Diary of AJ, which was hosted by MTV. 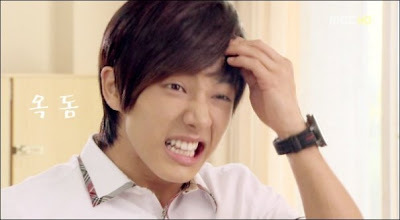 The show ran on two episodes on May 9, 2009 with a total of two episodes showcasing his Journey on his debut as AJ. Ever since, he was switched from a solo artist to a group member of BEAST, together with them they showcased their journey to debut on the topic of a short-lived reality show, MTV B2ST, which was hosted by MTV. He also has an acting role as SeHo on MBC’s “High Kick Through the Roof”. BEAST’s Lee Gi Kwang admittance to liking girl group f(x) has become a topic. In MBC’s broadcast of “Sunday, Sunday Night – Enthusiastic Brothers” on the 1st, Lee Gi Kwang was asked by Park Myung Soo to reveal the name of his favorite member in a girl group during the the first round “Don’t Get Mad” of the “Emotions” topic. On the other hand, Lee Gi Kwang asked Simon Dominic for his height. Although Simon Dominic said he was 170.1 cm tall, Lee Gi Kwang still insists that he’s taller than him. Idol group BEAST’s Lee Kikwang received humiliation for being shorter in height than comedian Park Myungsoo. Currently on MBC’s ‘Hot Brothers’ (Hot Bros for short) of Sunday Sunday Night, Lee Kikwang is one of the idols of all idols as he has the good looks, built muscles, and a smile that makes women melt. He;s also improving his variety skills fully through the program. However, Lee Kikwang’s weakness (in the article they say Achilles Tendon and I have no idea why) is his short height. They’ve always speculated Lee Kikwang’s height but the topic has never risen to the surface. Airing on the 27th, Hot Bro’s ‘fake MT (stands for Membership Training but it’s basically like a camping trip)’ where Lee Kikwang’s height of being shorter than Park Myungsoo will be revealed. Park Myungsoo insisted on measuring Lee Kikwang’s height, furthering the humiliation. However, Lee Kikwang gets revenge in the splits he commands to do. How tall actually is Lee Gi Kwang ? 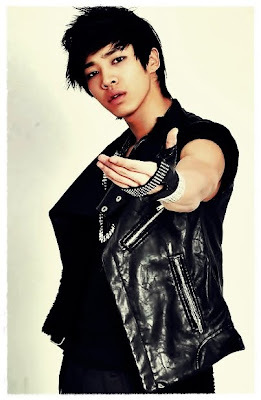 Many information on Gi Kwang profile stated that he stands on 174 cm, but I think Lee Gi Kwang is about 170 cm. On February 8th’s broadcast of MBC ‘High Kick Through the Roof,’ Seho (Lee Gikwang) has been shown struggling to draw a manly appearance to charm Jungeum, who acknowleges him as a persistant, crazy man. Seho first appeared before Jungeum in a suit in attempt to show a more adult demeanor. However, Jungeum rejects him with a nonchalant reply, causing lots of laughter. Going back to the vain effort to appear mature, Seho calls for the gym and shows a manly appearance through his muscles to attact Jungeum. But again, Jungeum responds with another cold remark. Viewers who watched the broadcast commented with “Seho’s cute face and contrasting body suprised me,” “Jungeum’s indifferent reaction was sad but thanks to that hot body, I was content,” displaying hot reaction. All this has caused the number of visits to his cyworld to skyrocket. 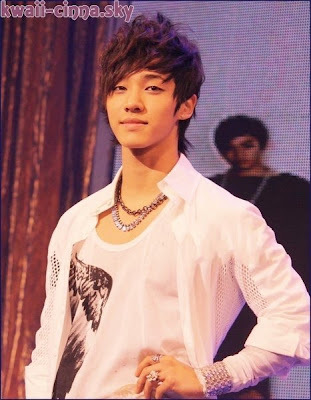 - Gi Kwang was initially a trainee under JYP Entertainment. - He later transferred to sister entertainment company, Cube Entertainment where he originally debuted as a solo singer by the stagename, “AJ”. - Cube Entertainment then decided to have him join BEAST where he redebuted under his given name. - He is known as SaeHo in MBC High Kick Through the Roof, and was selected as MC for MBC’s Sunday Sunday Night segment Hot Brothers. 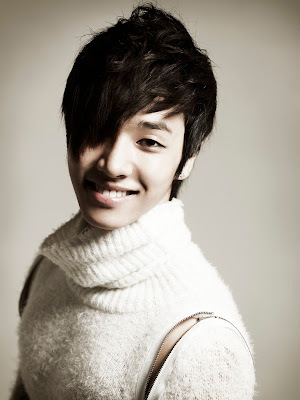 - Gi Kwang is featured in K.Will’s music video for the song, Present. - He was also chosen as the model for the ‘Ice Tea Tio’ from DongSuh Foods.